Quality Home has been well cared for thru-out the years! 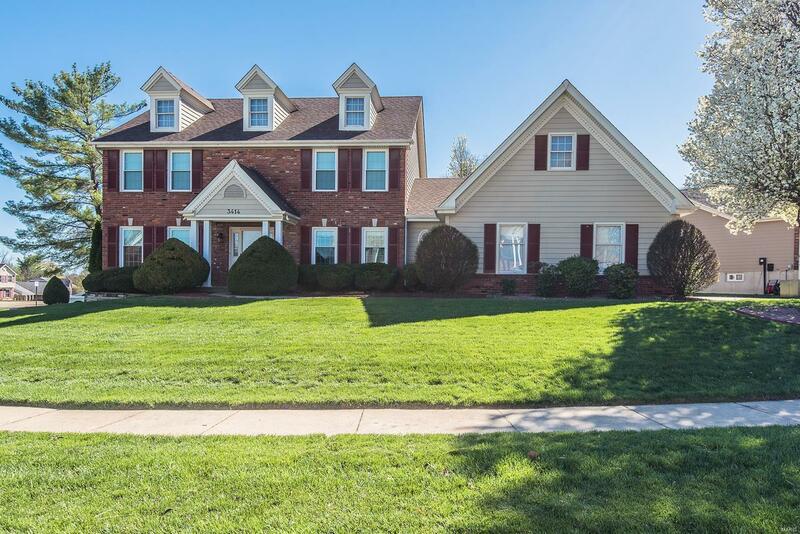 Aside from the stunning curb appeal, note ALL the upgrades in this house; Crown molding in all rooms, Bay window in Great rm plus, brick gas fireplace, Breakfast rm french doors with built in blinds. Casablanca ceiling fans. 9 ft ceiling on main floor. Master bedroom w/ double walk in closets. Kitchen has soft close drawers/cabinets, center island w/ electric, and ALL appliances can stay (Bosch DW 9/16, Freezer '07. Kenmore Microwave '14, Kenmore Elite Stove '14, LG Washer/Dryer '13! Carpet on main floor, upper hall, & Master bedroom NEW NEW NEW, '16. Entry foyer & hallway have wood floors. Driveway 10 years NEW. Lawn irrigation system. Furnace and A/C New in 2004. Windows 2009-2011. Wood fence in 2006, Roof 2012... the list goes on and on. If you tried to build a house this size, with ALL these upgrades the cost would be so much more! This is a Bargain and just needs your decor & style!